Central Petroleum recognises that its major investment is its people. It also recognises that employee happiness and job satisfaction are the prime contributing factors to the building of a well-knit, efficient and enthusiastic work force that are keen to bring about the successful achievement of Company objectives. Central Petroleum acknowledges the opportunity to recruit people who match its culture and direction. In an industry where labour turnover can fluctuate, it is critical to attract these locally based jobs to those local people with the best skills and more importantly the desired attitudes. Central Petroleum addresses this strategy through maximising the number of employees who can commute from their homes in Alice Springs. Under this strategy, where Central needs to employ people at remote locations, to the maximum degree possible those employees, over time, will be based at Alice Springs and “bussed” in from there rather than depending on Fly In Fly Out workers from elsewhere in Australia. 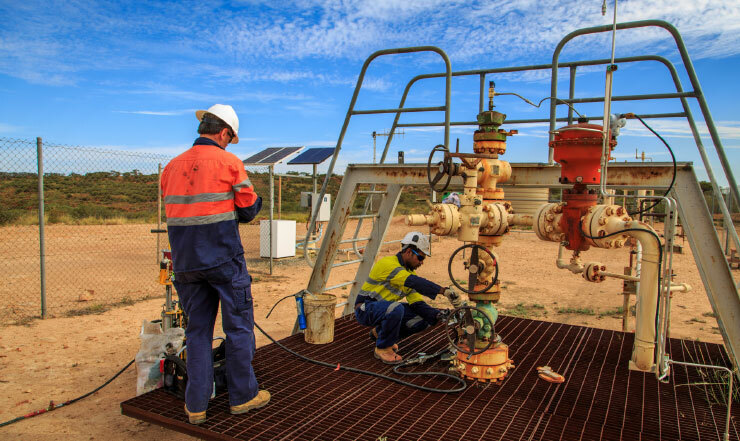 Central Petroleum is committed to training and employing people on whose land we operate and indigenous employees generally. Already nearly 30% of our operational employees are indigenous. 9.5% on top of an employee’s base salary is paid towards their super fund of choice. There is a strong focus on the training and development at Central, allowing employees to be the best that they can be. Central provides employees with the option to consult with supervisors and managers about facilitating flexible arrangements that best suit the employee’s lifestyle. Salary packing options are available for employees, eg. Superannuation. Monthly memberships for the Central Petroleum Social Club are available for all employees. An event takes place once every month. To view details of the Company’s LTIP please click here.